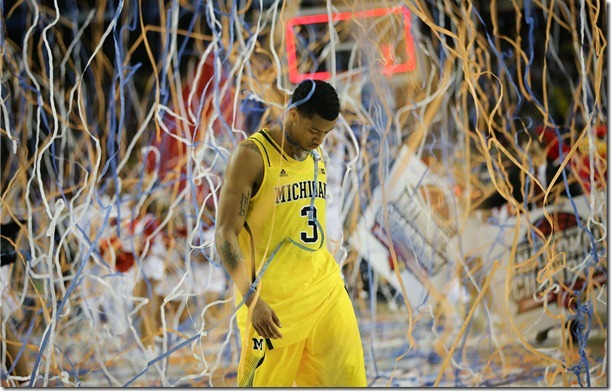 It was a magical ride for the Wolverines that fell 40 minutes short of glory. Done in by their defense (specifically the lack of rebounding and giving Louisville chance after chance on offense) Michigan lost in a classic NCAA title game to Louisville, 82-76. What Michigan really needed was someone to have a Peyton Siva-like game. Siva was tremendous for Louisville, the hands-down defensive MOP if such an award was given. 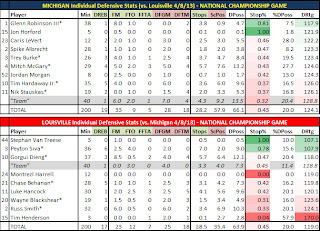 Instead, Michigan got one noteworthy defensive performance. Glenn Robinson III was outstanding. He numbers would have been even better with a few more defensive rebounds. That said, he forced a turnover and was responsible for eight missed field goals (nearly 25 percent of Louisville's bricks). The problem was that Michigan's guards couldn't defend and Mitch McGary's foul trouble hurt his aggressiveness. When McGary is in foul trouble he can't play with the reckless abandon that makes him the potential high NBA draft pick many envision. He played tentative and was burned by Gorgui Dieng time and time again (It also hurt that Dieng decided it was a good game to find his here-today, gone-tomorrow mid-range game). Against the No. 1 defense in the land Michigan's offense was spectacular. It's defense, however, looked like one ranked in the 30s. 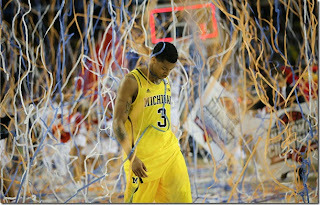 (Michigan entered the tournament ranked 53rd in Kempom and peaked at No. 35 before the title game. It finished the year ranked No. 39). All in all it was a fabulous (see what I did there?) year for the Wolverines. I can guarantee if all four studs come back Michigan will win it all next season. 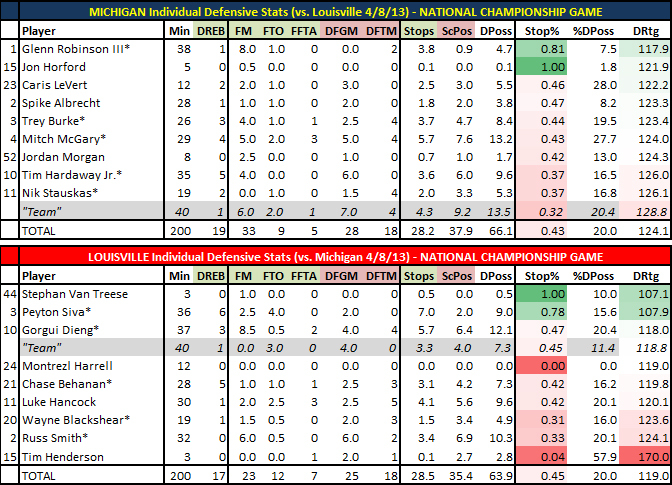 However, with Trey Burke and Tim Hardaway Jr. pretty much locks to go pro it will come down to Glenn Robinson III and Mitch McGary (if both return) to help lead Michigan back to the tournament's second weekend and beyond.